Armenian Poetry of Our Time is a collection of Armenian poems that spans a broad period of modern Armenian literature. Diana Der-Hovanessian, a well-known poet and author of twenty-five books of poetry and translations, has translated the poems into English and provided readers with a brief biography of each poet. The works of 117 poets, all originally written in Armenian, are presented in this anthology. Poems by literary giants of the late nineteenth and early twentieth centuries like Daniel Varoujan, Siamanto, Vahan Tekeyan, Avedik Issahakian, Indra and Bedros Tourian as well as noted diasporan writers like Vasken Shoushanian, Zahrad, Nigoghos Sarafian, Antranig Dzarougian, Vahe Oshagan and Zareh Melkonian are all featured in this collection. Their works explore themes distinct from earlier writers, as they were composed post-1915 and reflect the pain of exile. 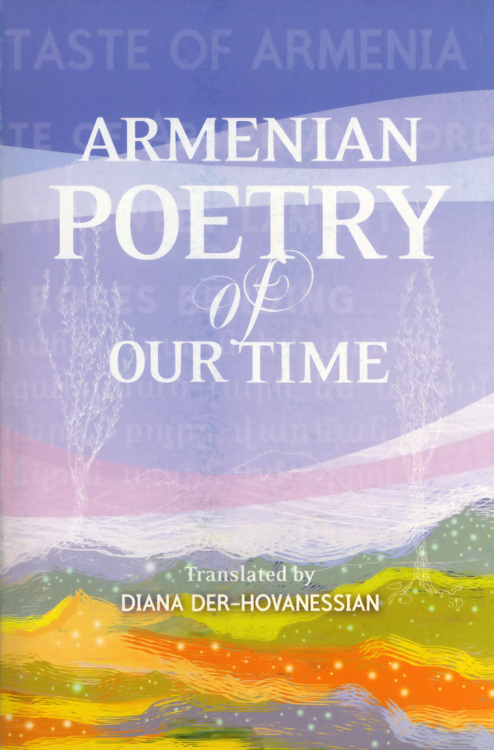 Armenian Poetry of Our Time is a comprehensive volume that introduces Armenian poetry to the English speaking world. It is a valuable addition to the corpus of recent books that has begun to make Armenia poetry accessible to English-speaking audiences.